With an increase in the number of youth soccer players comes an increase in the number of injuries. A recent Pediatrics study reviewed almost 3 million emergency room visits for soccer-related injuries, between 1990 to 2014.3 This study found that the annual injury rate for young soccer players jumped by 111 percent during that 24-year period. The goals for a properly fitting soccer shoe include both flexibility and stability. One can best accomplish these goals by understanding the anatomy of a soccer shoe and matching the desired goals of the shoe’s anatomy to budgetary constraints. Upper. The upper is the top part of the shoe and covers all but the plantar surface of the foot. The upper provides medial and lateral stability, and helps provide control of the ball during play. The upper material and design also allow the wearer to “feel” the ball when dribbling or passing. The vamp is the forefoot part of the upper. Most soccer shoes have stitching or specially designed texturing in this area to help better control the ball. Upper materials. The upper material can be made of natural leather, synthetic material and, more recently, woven knit. Leather has the advantage of providing a flexible fit and is especially good for wide feet. Leather is also good for durability. However, in comparison to non-woven synthetics, leather is more expensive and absorbs water, increasing the weight. Leather uppers are not available in youth soccer shoe sizes. 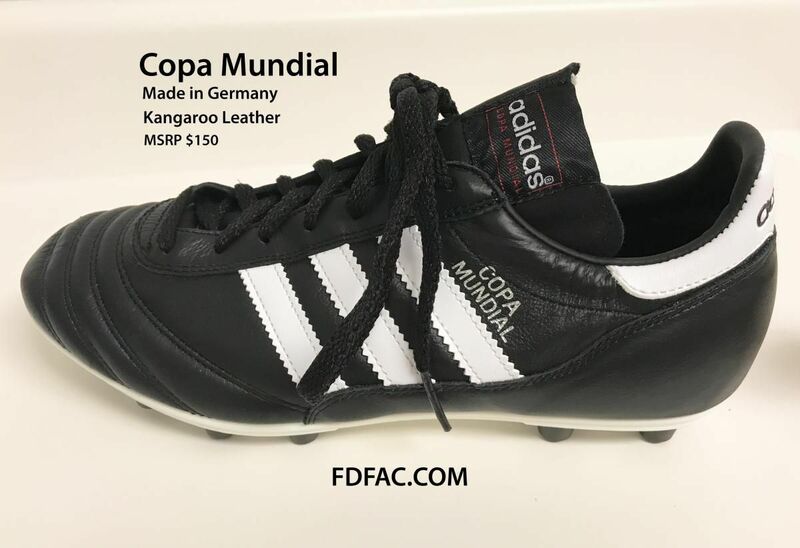 There are different grades of leather with kangaroo leather being the most expensive and providing one of the most coveted adult size soccer shoe fits. If you live in California, however, you won’t be able to purchase kangaroo leather in stores as the importing of this leather was banned in late 2015. The Adidas Copa Mundial has been in production since 1979 and is the gold standard for leather soccer shoes (MSRP $150). Inexpensive synthetic materials are the preferred shoe material when it comes to soccer shoes for adolescent players. These materials are lightweight, don’t overstretch and don’t absorb water. They are also affordable and come in dozens of eye-catching color combinations. Synthetic soccer cleat prices can range from $25 for entry-level junior sizes to more than $200 for premium synthetic adult sizes. According to Nike, Flyknit is an engineered, 3D, woven upper designed to create a second-skin, sock-like feel with support “knitted” directly into the shoe. Adidas also uses a threaded upper construction called Primeknit for its high-end soccer shoes. Shoes using these upper materials are the most expensive to buy and are found in adult-size soccer shoes, priced $200 and above. The German brand CurrexSole manufactures ActivePro insoles (MSRP $49.95), which I frequently recommend to players to supplement or replace stock insoles, especially when they are playing on artificial turf surfaces. 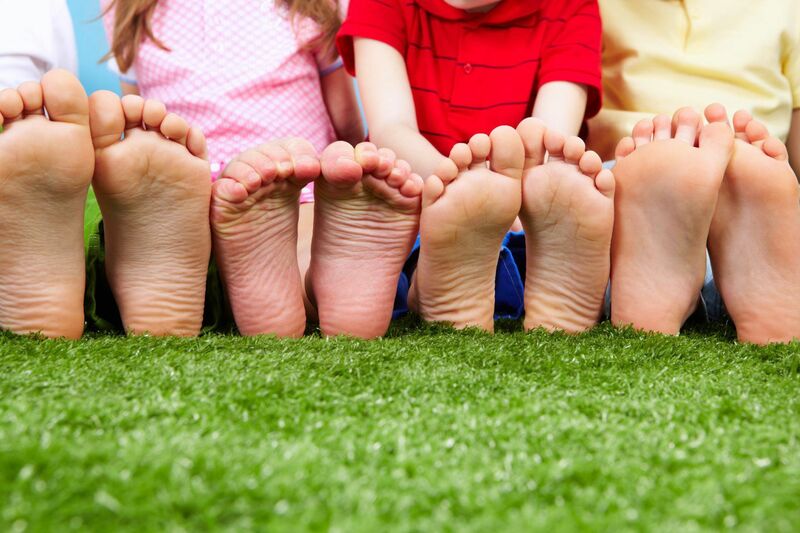 ActivePro insoles are available in three different arch heights: high, medium and low. They are biomechanically designed, addressing individual arch height as well as length. The outermost sole or plate of the shoe contains the studs. The trend is for soleplates to become lighter and more anatomically shaped to increase speed and traction. The stud itself is often called a cleat and can be fixed/molded or detachable on the bottom of the soleplate. Three main stud types exist: hard ground, conical (round) and bladed. The two most common types of field conditions include natural turf (grass) and artificial turf. The benefits of artificial turf include drought tolerance, lower maintenance costs, faster field turnover as well as providing a more even playing surface free of sprinkler heads, holes and divots. Soccer cleats are categorized based on playing surface and players purchase them using the following designations. • Firm ground (FG) shoes are the most popular style and are best suited to natural grass surfaces in places where it doesn’t rain regularly. Firm ground shoes typically feature a combination of conical and bladed stud types. • Artificial ground (AG) shoes offer the newest type of soleplate that companies are trying to incorporate into the market. Artificial ground cleats are specific to newer, third-generation turf surfaces and have proven extremely effective in producing traction. Players should not use this type of cleat on firm ground. • Soft ground (SG) shoes should only be worn when the surface is soft enough for the studs to penetrate the surface. This is the configuration of choice for players in areas where it rains frequently. These shoes usually feature replaceable studs. • Hard ground (HG) shoes are ideal for play on dry surfaces or surfaces where grass has been worn away and the ground is bare. This type of soleplate features a low profile with many conical studs to help with balance. Players can also wear this shoe effectively on firm ground surfaces. • Indoor shoes are designed for any sort of court soccer play. Adolescent soccer players often substitute regular athletic shoes for court-specific indoor soccer shoes. Although soft ground and hard ground cleats are available, it is rare for adolescent soccer players to own these. Of the available cleat types, firm ground shoes are the most popular. Although these shoes are not recommended or warranted for natural or artificial turf fields, athletes commonly wear these cleats on those playing surfaces. 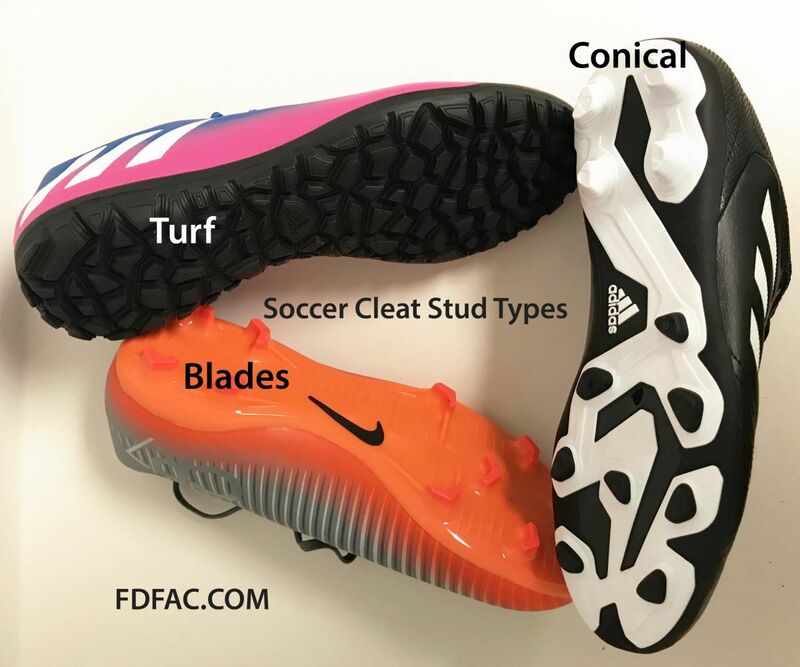 Replacing soccer cleats each year can get expensive and parents prefer to purchase only one shoe that “does it all.” Unfortunately, with variable field types (natural and artificial turf), it makes more sense to choose two field specific shoes, instead of just one, based on playing surface. Athletes or their parents can purchase an inexpensive combination of firm ground and artificial turf shoes for less than $80. 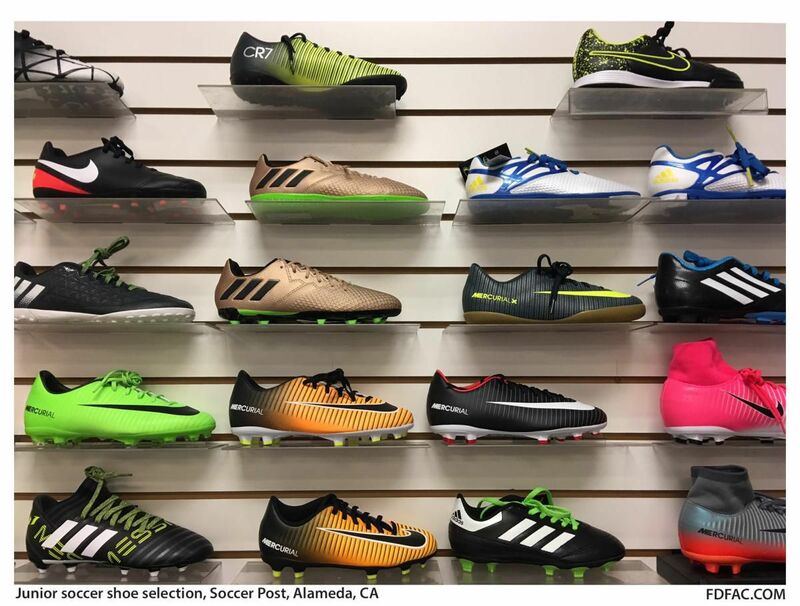 Specialty soccer stores can be helpful for customers looking for the right combination of these two types of soccer shoes. I recently spent time with Tom Matson, owner of the Soccer Post stores in the San Francisco Bay area. Matson has decades of experience fitting adolescent soccer cleats and has been fortunate to be able to fit players throughout all stages of their soccer careers. When asked what soccer shoe brands parents typically buy for their adolescent soccer players, Matson states unequivocally that “the decision is based on cost and never on brand.” In fact, when it comes to the purchase of adolescent soccer shoes, “parents and players have no brand loyalty at all,” which is the complete opposite from what shoe manufacturers would have us believe. Matson also frequently sees adolescents with ankle and knee injuries come into his store on crutches, having worn firm ground shoes on artificial ground playing fields. According to Matson, the single best way to reduce lower extremity injuries during soccer is to wear only the designated cleat type on the corresponding field surface. To clarify this point, I use a simple running shoe analogy. You wouldn’t want to wear a non-trail running shoe during trail running and wearing a firm ground cleat on an artificial ground surface is the same thing. In addition to seeing more injuries, Matson also cautions that wearing firm ground shoes on artificial ground playing fields can cause the soleplate to separate from the upper in the toe box area, rendering the shoe unwearable in just a few months instead of the typical year. Adult soccer shoes range in price from $50 to $300. In the adult category, technology has led to a dizzying array of colors, design and price points. Does all of this technology warrant the higher prices? In the world of adolescent soccer, probably not. In fact, good choices in the entry-level price range include Nike Mercurial Vortex III FG and Nike Hypervenom Phade III FG (MSRP $54.99). Good choices in the intermediate price range include Adidas Messi 16.3 FG and Nike Mercurial Victory VI FG (MSRP $79.99). The next factor in choosing a soccer shoe is finding the correct width. According to Matson, if the width of the shoe doesn’t properly match the width of the player’s foot, nothing else matters and the shoe will not be comfortable. For excessively pronated or wide feet, purchase soccer shoes with as wide of a waist as possible to support the midfoot properly and reduce excessive pronation. When functional support is necessary, fabricate a low-profile custom orthotic to fit precisely into the player’s specific soccer shoe. One can accomplish this by sending the soccer shoe to the orthotic lab along with the prescription. In Matson’s experience, determining the proper length of a soccer shoe has more variability than fitting width. When patients or their parents are purchasing new soccer shoes, advise them to try to shop local if they can. Explain to the parents that having an experienced salesperson guide them in determining the best fit can save them time and money in the long run. If patients or their parents do order online, however, it’s important to emphasize ordering from a site that offers free returns of incorrectly sized shoes. My favorite online sites are Zappos.com, Soccerpro.com and Eastbay.com. Online sites typically have substantial sales on soccer shoes. When ordering soccer shoes online, suggest ordering multiple pairs to try on to ensure the best fit. 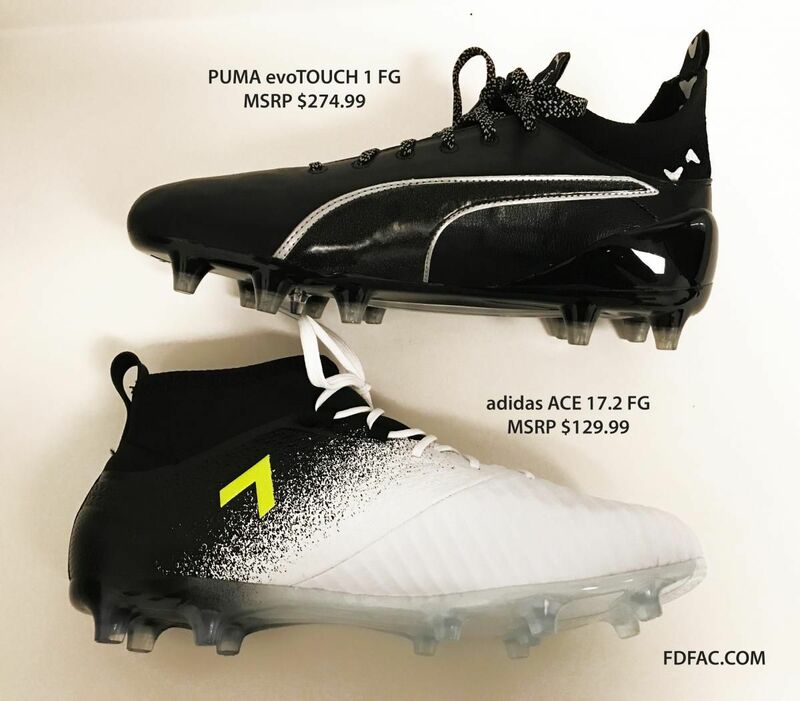 Design features that were previously only available to professional or elite soccer players are now commonplace in the world of youth soccer shoe design. Fortunately, because of this, players can find well-made soccer shoes at even entry level price points. Less than 4 percent of all high school athletes compete in NCAA Division I or II collegiate level soccer and of those, only 75 total players go on to play in professional leagues.13 Based on this, adolescent soccer players and parents should focus on the sport of teamwork and play, and not on the technological advances of expensive uppers or the colors of a celebrity player’s soccer shoes. Even the most expensive soccer shoe on the market will not make for a better player but proper fit and comfort will. First and foremost, these should be our goals when advising parents and their children on the purchase of their soccer shoes.